Trump Doesn't Want Immigrants from "shithole countries"
Trump's latest racist rant falls in line with his administration's attack on immigrants from Central America and Africa. On the heels of ending Temporary Protected Status for 263,000 Salvadorans living in the US, Trump reportedly went on a racist rant today saying he wanted more immigrants from countries like Norway rather than 'shithole' countries like Haiti and countries in Africa. Since taking office, the Department of Homeland Security under the Trump administration has revoked TPS status for nearly 400,000 immigrants from El Salvador, Haiti, Honduras, Sudan and Nicaragua. If politicians aren't able to pass legislation to restore protections for these immigrants, they'll be forced to leave in 18 months or risk staying undocumented. This will have a devastating impact on them and their families. There are approximately 190,000 US citizens with at least one Salvadoran parent with TPS. For nearly 30 years, TPS has allowed immigrants from 13 countries to build lives and families in the US. Trump and his administration are systematically pulling the rug out from these immigrants and their families. 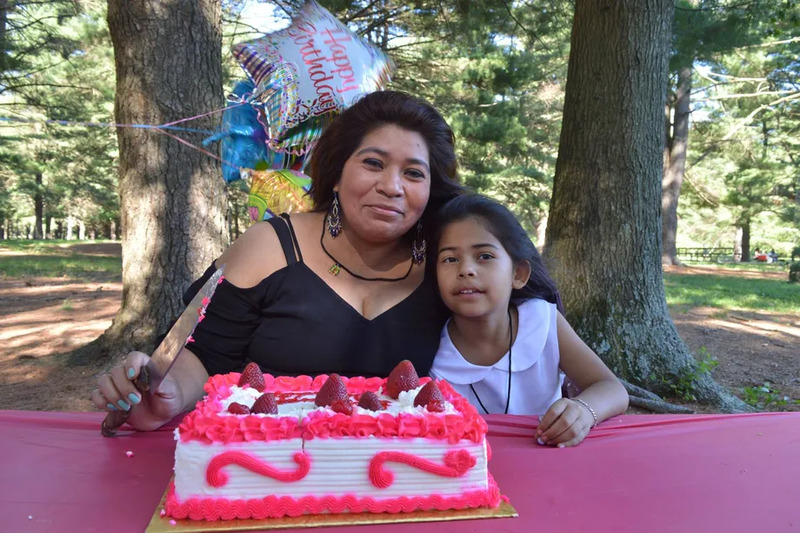 Salvadorans in DC, home to the second largest Salvadoran population in the US, are still reeling from the news, thousands of whom work in federal buildings like Walter Reed Medical Center, the US Department of Justice and the US Department of Agriculture. Both Republicans and Democrats have introduced legislation to try and extend protections or allow people with TPS to apply for permanent status, not an easy path given the difficulty pushing any meaningful immigration through Congress. Until then, families will continue to live in limbo. The logical extension is an end to family unification for immigrants. I think their end goal is pretty much 0 immigration among people of color, and, a much harder goal, ending birthright citizenship. Yes, ethnic cleansing, at least in terms of political power. The Center for Immigration Studies (conservative think tank) used to push for an end to "mass" immigration, but an allowance for 50,000 of the world's most desperate refugees, but 45 has driven the discussion way past that to drop the refugees too. I can't say these things could never happen in the U.S. I can say that we have the means to prevent them, if we choose to speak out. The question I have is where will this go, what is the logical extension of it and how far are we going to let it go? This is the genocidal logic of fascism and we have to heed the words of Pastor Niemoller and stop it now. They are not going to stop and they're not going to pace themselves. They see this as their last chance for ethnic cleansing. Worse and worse every day.